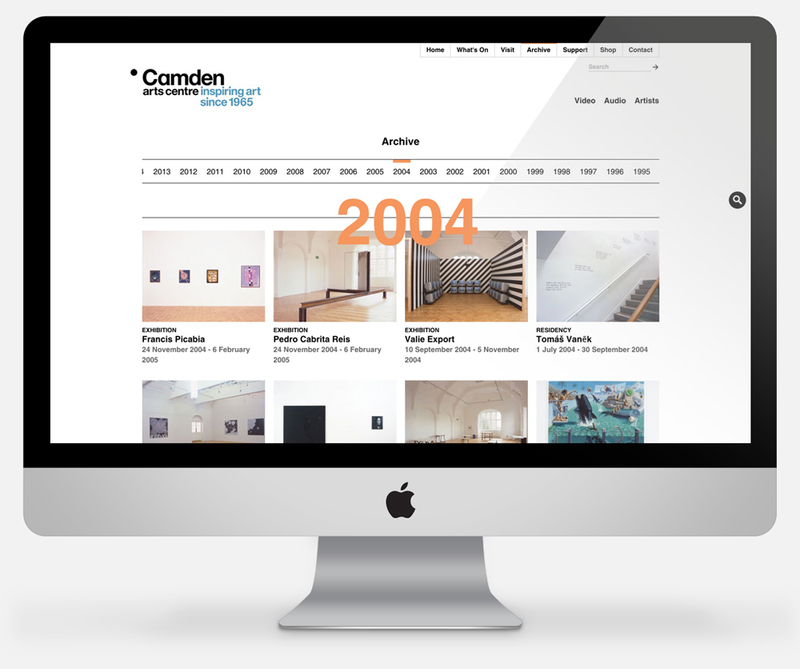 To coincide with Camden Arts Centre’s 50th anniversary we created a new digital archive, which also represents the first iteration of a new responsive site. 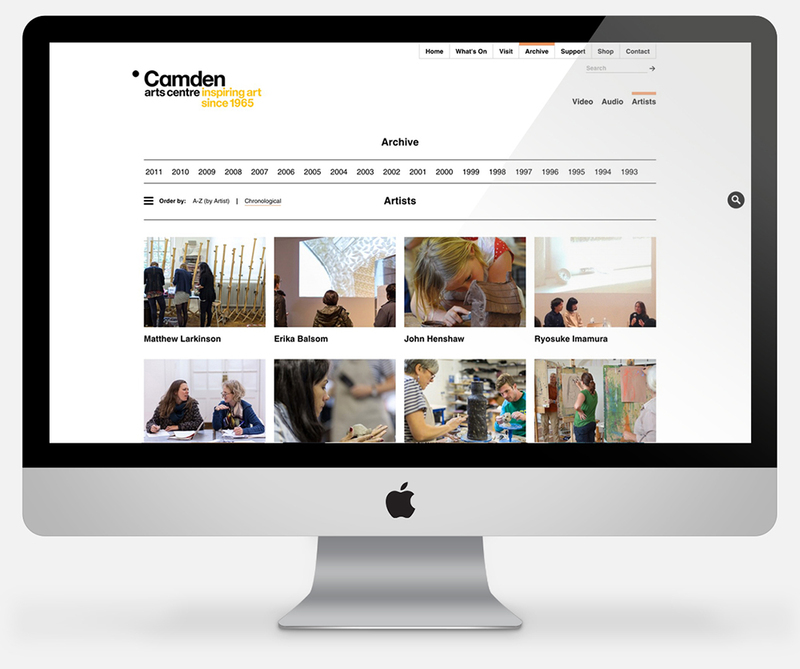 We’ve worked with Camden Arts Centre for many years and designed their current website in 2012. It’s a great partnership, we regularly work together on developments to the site so that we can keep it up to date and accommodate their changing needs. Tackling the archive has been on everyone’s wish list for a long time, and the 50th anniversary provided the perfect opportunity. As a self-contained section of the site it also meant we could realise another ambition – to create and roadtest a new responsive design for the site (the main focus for development for the current site). 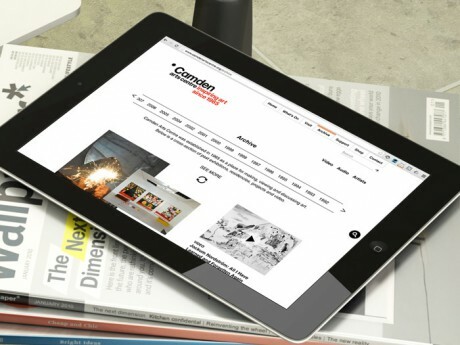 Our relationship with Cog Design is extremely valuable to us; they have a strong understanding of Camden Arts Centre’s philosophy, our ambitions within the digital realm and the demands placed on publicly-funded arts organisations. 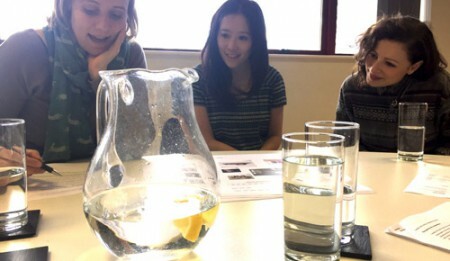 Cog is a very personable organisation, inquisitive, rigorous and a pleasure to work with. 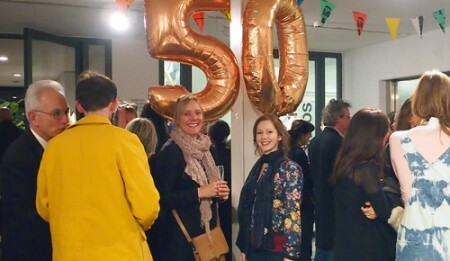 The archive is huge; with 50 years of exhibitions and events all with associated images, audio, video and downloads, it would have been easy for the content to feel overwhelming. We spent a lot of time thinking about how users were likely to interact with the content – whether browsing or looking for something particular. 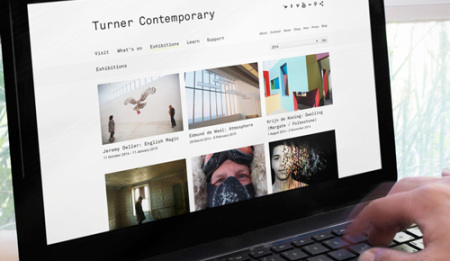 The Camden Arts Centre team were keen to encourage visitors to explore by making links between different artists and exhibitions. We used that as the basis for the homepage of the archive – content is randomly pulled into the page, with a ‘see more’ option which refreshes what you see. 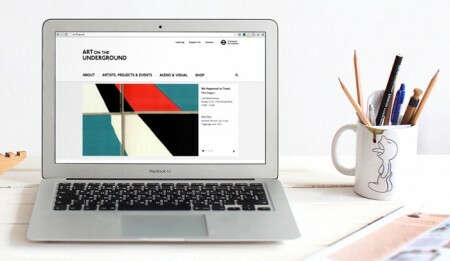 Users can browse by year, by artist, or look specifically at video and audio content. The design closely follows the existing site, while at the same time making it feel fresh and up to date. In the six months since we launched the archive visitors to this area of the site have more than doubled, and the average visit length is close to 7 minutes. The next phase (planned for later in 2016) will see us roll out the responsive design to the rest of the site.